There are signs of the approaching summer all around us. 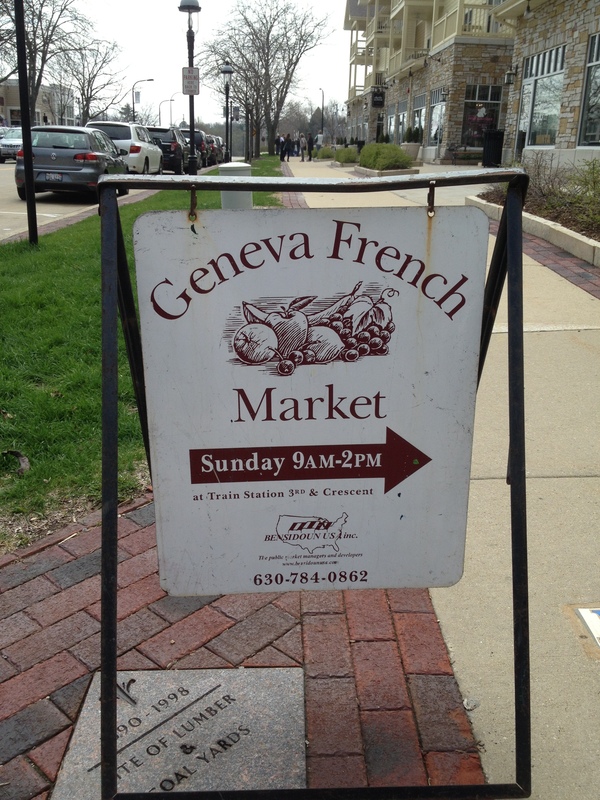 The weather is warming up, the grass is green, the trees are blooming, and the Geneva French Market is open. The Geneva French Market runs from about April until early November. It is located in the parking lot of the Geneva train station at the corner of South and 4th Street. The market is open only on Sunday’s from 9am to 2pm. There are mostly local vendors set up there selling everything from fresh produce to children’s books and jewelry. We have gone there regularly during the summer for the last several years and I highly recommend it as a fun Sunday morning family outing. We were this his past Sunday, on April 28, and saw all the usual vendors that regularly set up at the market. We usually buy fresh produce to use in our Sunday evening meal and that is just what we did this weekend. We bought some meat and cheeses from a vendor that gets his products from Illinois farmers. We also bought some produce from Windy Acres’ booth. Windy Acres is a farm stand in Geneva off of Fabyan Parkway just west of Randall. There are other local people selling pampered chef, tastefully simple, bread, flowers, jewelry, books, and popcorn to name a few other vendors. Everyone there is quite friendly and not pushy. We have never been hounded by vendors to sample their products. Last Sunday we made a short family trip of it. After checking out the market we got some coffee and then walked down and back on Third Street. It was a great Sunday morning outing. 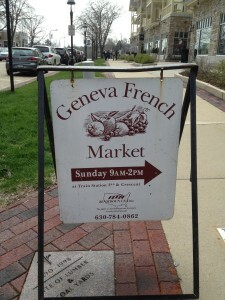 If you are looking for a simple family outing on a gorgeous Sunday morning or a place to buy local produce check out the Geneva French Market, you will not be disappointed.